← 1… 2… 3… Three Steps to Get Fit! 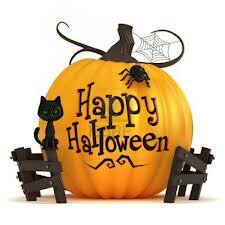 Pumpkin patches, black cats, scary costumes, spooking haunted houses, fun parties, and yes, the oh-so-tempting candy bowl! While it is okay to indulge in 1 – 2 pieces of candy today, moderation is key! So, how will you moderate your candy consumption? Here are 5 simple and effective tips to do just so! Wait until the last minute to purchase candy: Pick up a bag on your way home from work today, put it in the trunk during the drive home, and avoid opening the bag until the first Trick-or-Treater arrives at your doorstep. Splurge the natural way: Eat a piece of food to satisfy your sweet cravings. Fruit is more nutritious and will keep you full for longer! 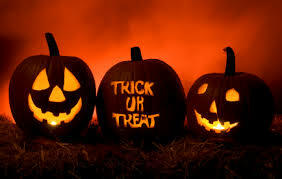 Keep it out of sight: If you trust your Trick-or-Treaters, leave the candy bowl outside on your front porch. If your Trick-or-Treaters cannot be trusted, place the candy bowl near the door. Stay busy to take your mind off of the candy! Get rid of the candy: Donate any leftover candy to a homeless shelter, local school, or a friend who has more self-control! Have Fun, Be Safe, and Keep Active! NASM Blog (2013). Accessed at http://blog.nasm.org/fitness/halloween-survival-guide-five-practical-tips-survive-candy-night-terror/ on October 31, 2013.